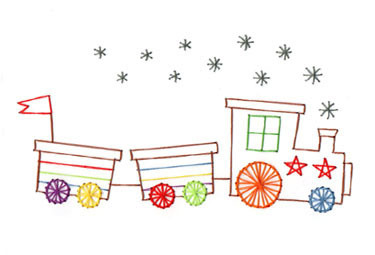 A bright, colourful, attractive card of a toy train. This card would be ideal to give to that special child for their birthday.The card has been stitched in a variety of different colours, but you could use any colour of your choice. Card making is great fun, why not try it.